8:00 AM BOYS S - WRESTLING Vs. Addison Trail H.s. INVITE (A) - ADDISON TRAIL H.S. 9:00 AM BOYS F - WRESTLING Vs. Rolling Meadows H.s. INVITE (A) - ROLLING MEADOWS H.S. 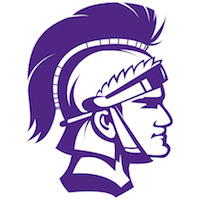 9:30 AM BOYS JV - BASKETBALL Vs. LYONS TOWNSHIP (A) - LYONS TWP H.S.